The temperature neared 50 below but that didn’t stop the celebration of uSask’s Indigenous students in the Gordon Oakes Red Bear Student Centre on February 7th. The Indigenous Student Achievement Awards Ceremony recognized academic, leadership, community involvement, and research accomplishments of uSask students. Vice-Provost Indigenous Engagement, Dr. Jacqueline Ottmann, congratulated all students and encouraged students to use their “powerful voice” to build nations and bridges while leading with respect. Alyssia is a fourth year accounting student from St. Paul, AB. Upon graduation, she will be returning to St. Paul to work at a local accounting firm where she will be pursuing her Chartered Professional Accounting (CPA) designation. 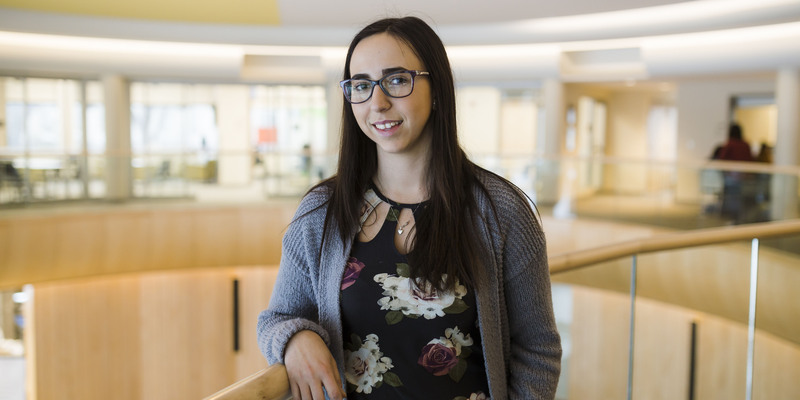 Throughout her time at university, she has led numerous group projects where her contributions have been a large component of the group’s success. Dakota reigns from Gwich’in Nation, NWT. He has been a vital component of the creation of Edwards School of Business entrepreneurship initiative, InVenture: Entrepreneurship in Action. 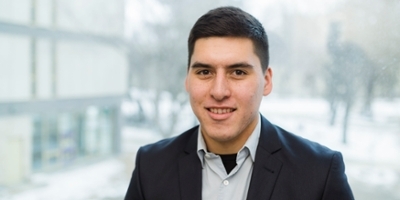 A fourth-year management student, he is currently completing an Honours project examining the developmental potential and the economy in Northern SK. In addition, he is a Junior Research Fellow at the Asia Pacific Foundation of Canada and a Combat Engineer at the Canadian Forces. 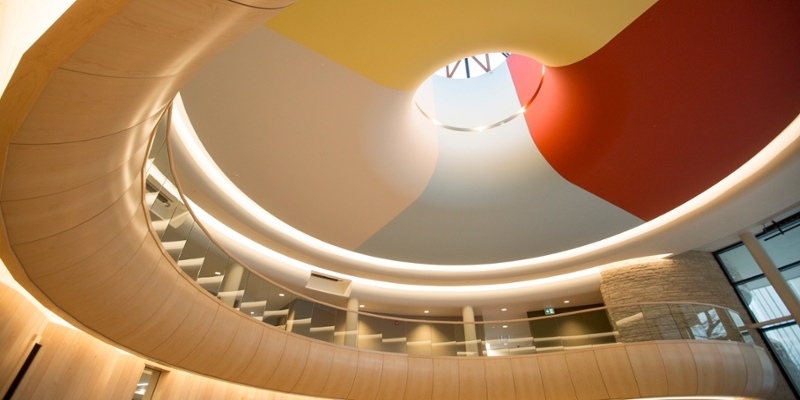 Dakota has received numerous accolades including Edwards School of Business Dean’s Honour List, Top Junior Leader Award from the Canadian Forces, and other scholarships. Karlie achieved outstanding academic performance throughout her B.Comm. She has worked part-time as a server and maintained a full course load in addition to volunteering with the Saskatoon Chapter of the Canadian Industrial Relations Association (CIRA). Karlie will be pursing her Juris Doctor degree at the University of Toronto. Edwards School of Business congratulates Alyssia, Dakota, and Karlie on their achievement and success.